A Buddha statue, presumed to date back to the ninth century, has been found in Korea in what archeologists say may be an important new discovery to understanding ancient Buddhist art. 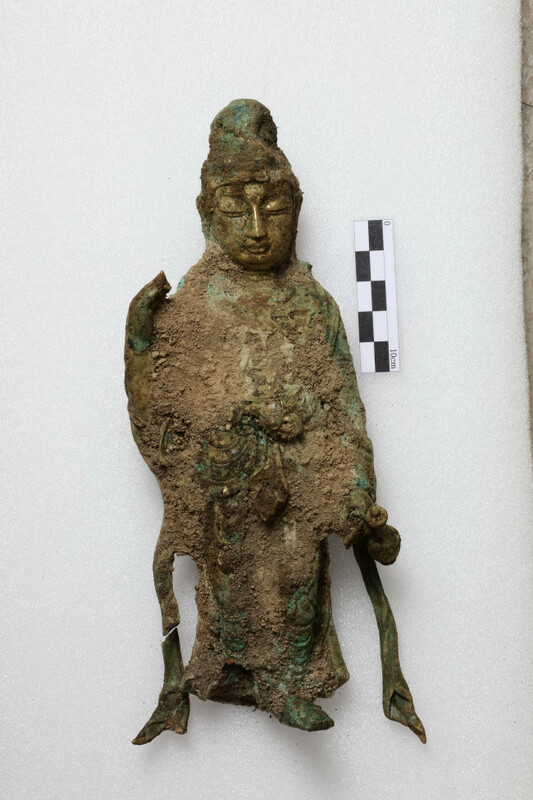 The gilt bronze statue, measuring over 50 centimeters in height, was discovered at a temple site in Yangyang, Gangwon Province, where a stone pagoda and other Buddhist relics had earlier been uncovered. “According to experts who were called upon to check the new discovery at the excavation site this afternoon, the relic seems to be the largest of such kind from the Unified Silla period (668―935) and hold high value both artistically and historically,” an official at the Cultural Heritage Administration was quoted as saying by the Yonhap news agency. Preserved in relatively good condition compared to other statues from the period, the statue will have to be examined by researchers in the coming months, but experts predicted it could become a national treasure.